We are launching our annual competition to find the most passionate plotter this year. If you love your plot, and you all do, just fill in the form below, send us a few pictures – and you could win some great prizes. ENTRIES HAVE NOW CLOSED – THANKS FOR COMING BY! A stylish Mountfield SP53 mower with a powerful 160cc Mountfield OHV engine and large diameter wheels for easily handling, this 51cm self-propelled mower is a real pleasure to use. Cutting height is easy to adjust within the 27-90mm range using an ergonomic single lever. A front skid plate helps to minimise scalping and improve the cut. The extra deep deck is designed to maximise airflow for optimum cutting and collection performance. Clippings can be collected in the large 60 litre collector or you can choose to mulch, recycling grass clippings back into the ground using the mulching plug supplied. 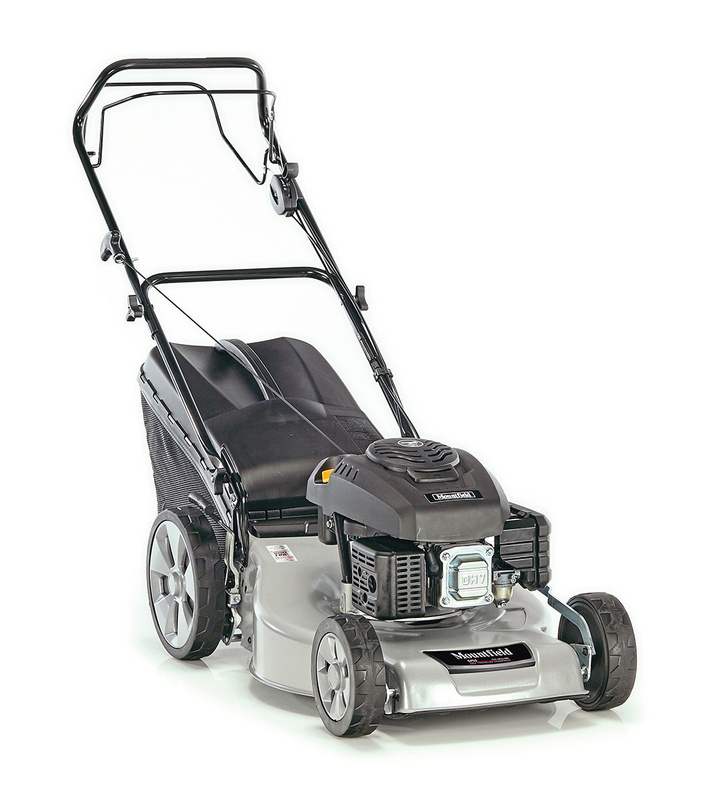 As well as benefitting from a 2 year warranty this mower is supported by an aftersales help and advice website, phone line and National service network of garden machinery repair specialists. 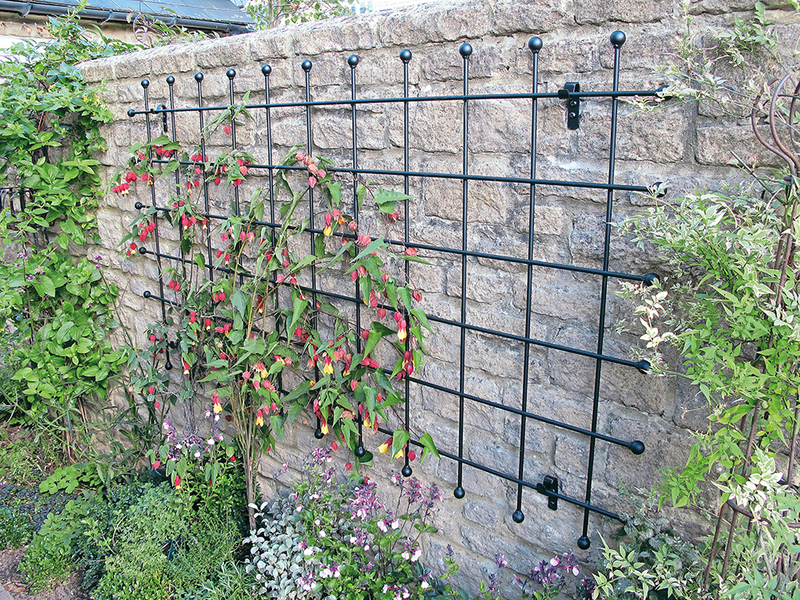 The WOLF-Garten multi-change® 15cm push-pull weeder features a wavy, dual edge blade enabling you to work both forwards and backwards below soil level cutting through weeds at the root level whilst the side guards let you work close to plants without damaging them. 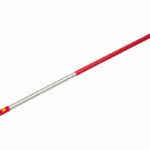 It easily attaches to all multi-change® handles including the lightweight ZMI15. 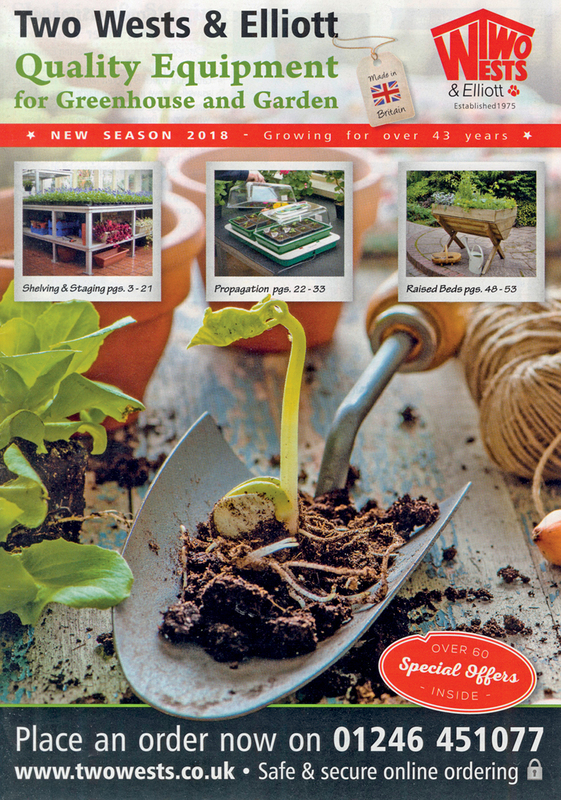 Two Wests and Elliott vouchers for the top three winners can be exchanged for products from the company’s’ extensive greenhouse and gardening catalogue. The listing is vast and includes everything you would ever want for a greenhouse including watering kits, staging, propagators and lots more. If you don’t have a greenhouse the company also sells many items for the garden including furniture, fruit and veg cages to name but a few. 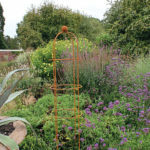 First place winner will receive a set of 3 Harrod Horticultural Trumpet Wire Rust Obelisks (ARC-228) perfect for supporting larger climbers and shrubs with the distinctive trumpet shape making a real statement in the garden borders. Value £242. 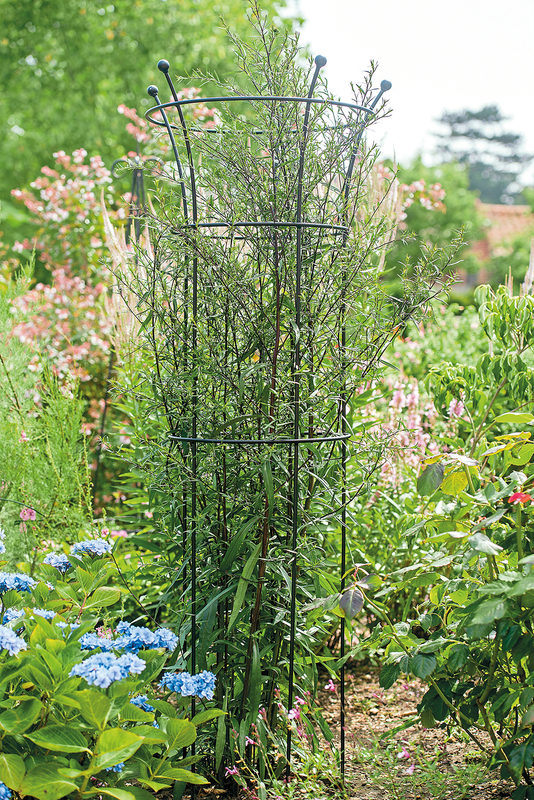 Harrod Vintage Round Wire Obelisk in natural rust ideal for climbing plants and roses. Mountfield has been one of the UK’s leading lawnmower manufacturers for over 50 years and their lawnmowers, lawn tractors and garden care products all share a reputation for outstanding quality and reliability. The Mountfield team have maintained their position as a leading lawnmower manufacturer by continually developing their products, with investment and innovation ensuring that only the best combination of performance and value for money is offered. In recent years, best-selling garden tractors, lawn riders, roller mowers and a range of class leading 48 volt garden tools have been launched. 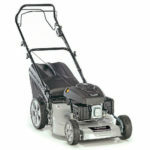 The innovations have continued with new 80 Volt cordless lawnmowers. The WOLF-Garten gardening tool collection offers the total solution for soil and cultivation, lawn care, tree and shrub care and general garden maintenance. 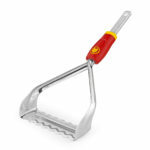 The WOLF-Garten philosophy is to provide gardening tools and machinery of premium quality and performance. 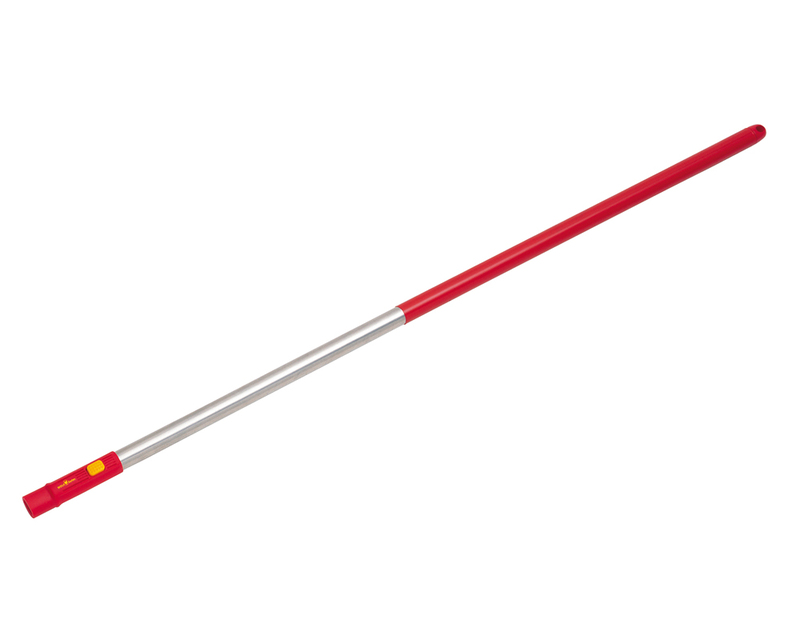 Its garden tool range includes the multi-change(Copyright symbol) system which is lightweight and comfortable to use, so whatever the job you are tackling in the garden, WOLF-Garten can provide the right tool for the job. 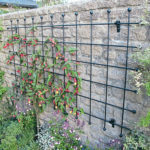 Harrod Horticultural has been producing top quality garden products for 60 years and is innovative in bringing new designs on to the market. 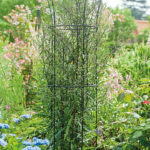 It offers an excellent mail order service and as well as being renowned for its sturdy fruit and vegetable cages and arches and structures it also sells a huge range of other gardening sundries. This company was founded over 30 years ago by Christopher and Josephine West and together with their ‘sleeping’ partner Elliott 1 (their faithful canine companion) . The current mascot for the company is Elli who appears in the catalogue. 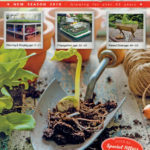 Two Wests & Elliott publish three comprehensive gardening catalgoues every year; Early season, spring and summer and autumn. Their online site alos features an even greater range of products and special offers. We are looking for the UK’s most passionate fruit and veggie grower and now veg plots are starting to look bountiful it is the perfect time to take some photographs and enter our competition. So if you love your plot then share it with us and other KG readers. 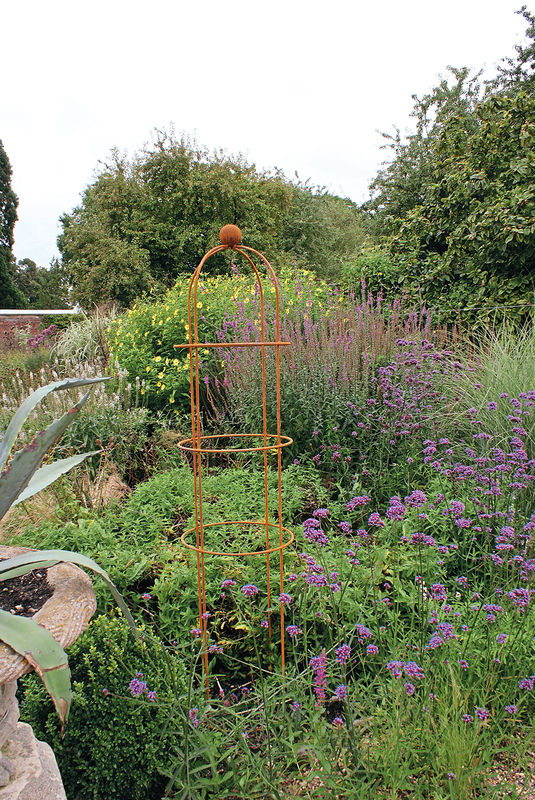 Simply send us a few photos of your plot and you could win some great prizes and your plot will also be featured in a future issue of Kitchen Garden. A passion for growing so don’t worry if your plot is not perfect or pristine but we are looking for a plot well loved with effort to grow a good variety of crops, good use of the space. Look out for an email with instructions on how to upload your images (if you don’t see it, remember to check your junk folder). We are using Dropbox to transfer your pictures. Click here for Dropbox terms). The closing date for the competition is 26th October 2018. Judging will commence after this date and the winners will be announced in the December issue. DATA: Protection of your personal data is important to Mortons. Your data will be stored securely and only be used for the purpose of processing and publishing the competition and notifying the winners. Data will then be destroyed.